This much-revived classic from the playwright of Private Lives offers up fussy, cantankerous socialite-novelist, Charles Condomine; his late first wife, the clever and insistent Elvira; one Madame Arcati, the ‘happy medium’ enlisted by Condomine to ‘call up’ new material for his book; and his current wife, Ruth, who accidentally ‘passes over’ as a result. As these (worldly and un-) personalities clash, Charles’ gets more material than he bargained for. “Can still keep an audience in a state of tickled contentment” – Ben Brantley, The New York Times, 2009. 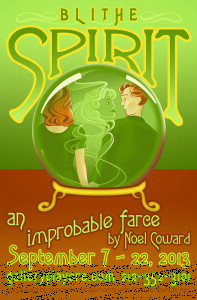 “A world-class comedy” – TheatreMania.com, 2009. 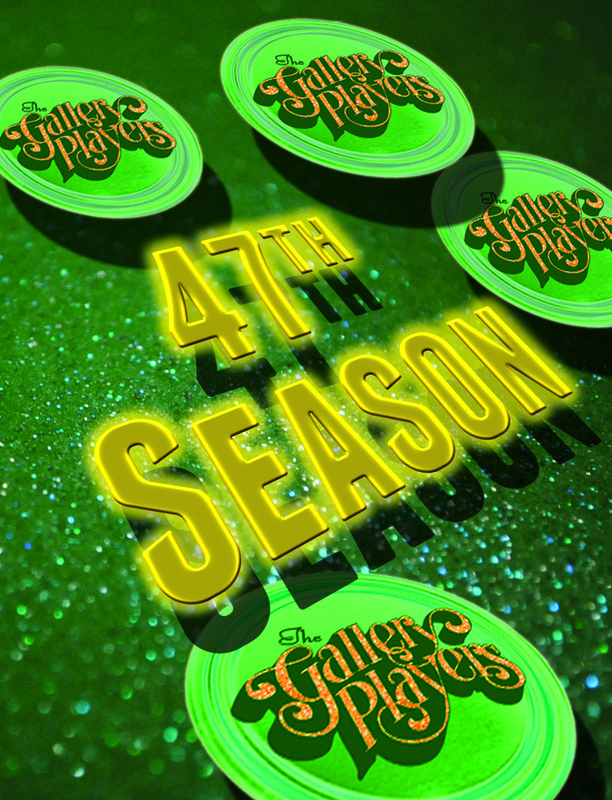 Four months after it’s first production set a performance record in London’s West End in 1941, this smash comedy hit was produced in New York, at Broadway’s Morosco Theatre. Its many manifestations since include movies, television, radio, and the musical, High Spirits. The dangers of a workplace romance are explored to hysterical effect in this romantic comedy from the creators of Damn Yankees. Conditions at the Sleep-Tite Pajama Factory are anything but peaceful as sparks fly between new superintendent, Sid Sorokin, and Babe Williams, leader of the union grievance committee. Their stormy relationship comes to a head when the workers strike for a seven-and-a-half cent pay increase, setting off not only a conflict between management and labor, but a battle of the sexes as well. Bright and brassy, this unconventional, fast-paced Broadway favorite is every bit the embodiment of legendary director, George Abbott, at his very best. 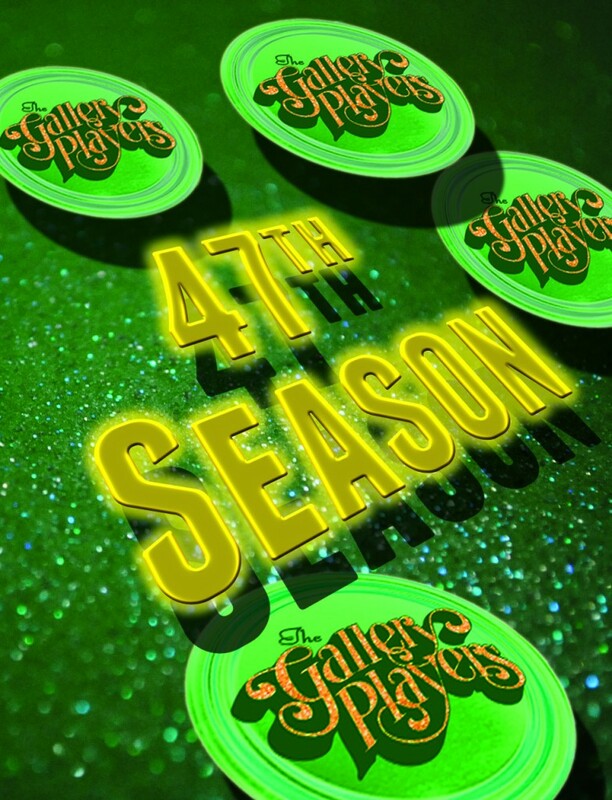 The energetic score is brimming with songs and dances which have become popular musical theatre standards, among them “Hey There,” “Steam Heat”, and “Hernando’s Hideaway”, featuring plenty of splashy, fun production numbers, including a comic ‘dream ballet’. 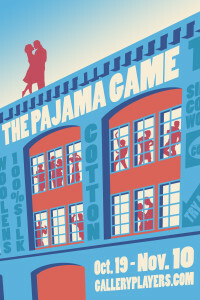 For solid, classic musical comedy, it’s hard to beat The Pajama Game! 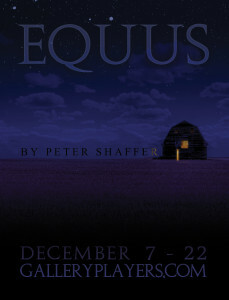 In this psychological detective story loosely based on an actual event, psychiatrist Dr. Martin Dysart is confronted with Alan Strang, a boy who blinds six horses in a violent fit of passion, a passion as foreign to Dysart as the act itself. To the boy’s parents, it’s a hideous mystery: Alan has always adored horses. To Dysart, it’s a psychological maze that leads both doctor and patient to a complex and disturbingly dramatic confrontation. This international success reached new acclaim in London and on Broadway in its 2007 revivals. 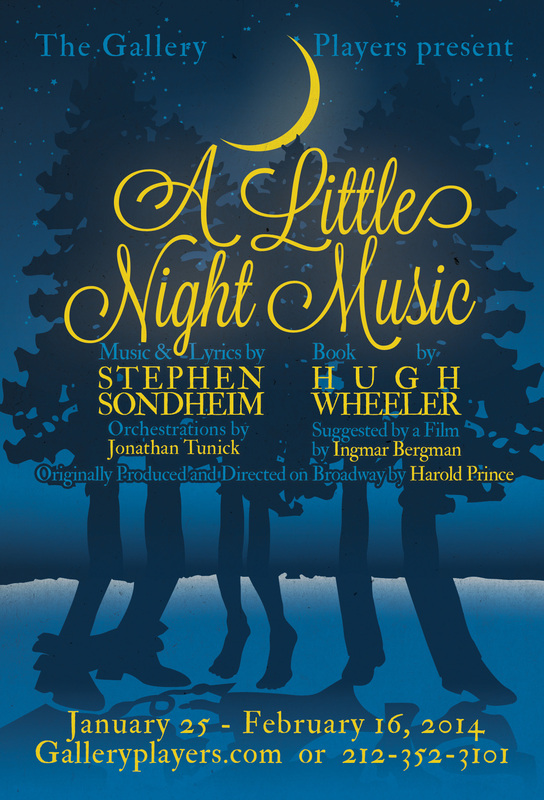 In turning Ingmar Bergman’s comedy of manners into an elegant and masterful musical, Stephen Sondheim creates a stunning tour de force that has from its first performance entranced the world of theatre. Set in 1900 Sweden, A Little Night Music explores the tangled web of amours centered around actress Desirée Armfeldt and her family. This intricate dance of desire, jealousy and regret mounts to a volatile pitch during their weekend at Desirée’s mother’s country estate. With everyone in one place, infinite possibilities of new romances and second chances bring endless surprises. 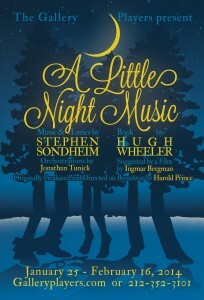 A Little Night Music is a dramatic musical celebration of love, full of hilariously witty and heartbreakingly moving moments. Although Medea is now considered one of the greatest plays in the Western canon, its first audiences were not so favorable, awarding it only third prize at the 431 BC Dionysia. 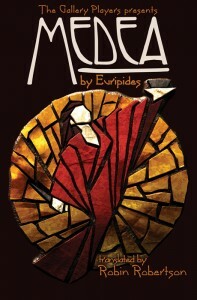 This classic Greek play tells the iconic story of a woman’s revenge for her husband’s betrayal. 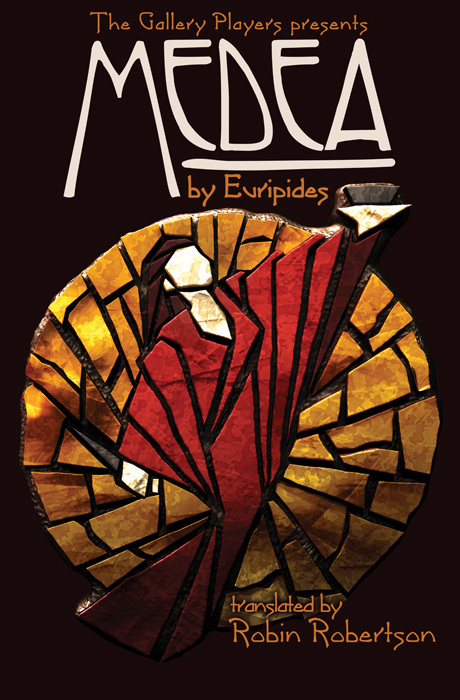 Set in Corinth, where her husband, Jason – of golden fleece fame – has brought, then left her for the daughter of a king, the play opens with Medea grieving over her loss with her elderly nurse fearing what she might do to herself or her children. From this place, Medea, both character and play, rises to the heights of passion, love and vengeance. Medea has been translated, produced and adapted for stage, screen, television, radio and dance by such notables as Jean Anouilh, Roberson Jeffers, Dimitris Papaioannou, Neil Labute, Michael John LcChiusa, Pier Paolo Pasollini, Lars van Trier, and Peter Stein. It remains one of the most produced of Greek classics and a favorite the world over. Set in New York’s Lower East Side, Jonathan Larson’s Rent follows a year in the lives of a bohemian group of impoverished young artists and musicians, struggling to survive and create in New York’s Lower East Side, under the shadow of HIV/AIDS. Rent is about falling in love, finding your voice, and living for today. This is theatre at its best: exuberant, passionate, and joyous. It has become a pop cultural phenomenon with songs that rock and a story that resonates with audiences of all ages. 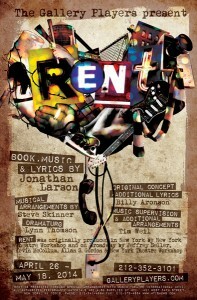 In a true theatre success story, Rent was developed by a group of actors led by Jonathan Larson. It had its first reading in 1993, followed in 1994 by a three-week workshop production at New York Theatre Workshop, where it eventually opened in 1996 to great acclaim. (Sadly, it’s creator died suddenly the night before that opening.) Four months later, Rent transferred to Broadway’s Nederlander Theater, where it ran for 12 years. 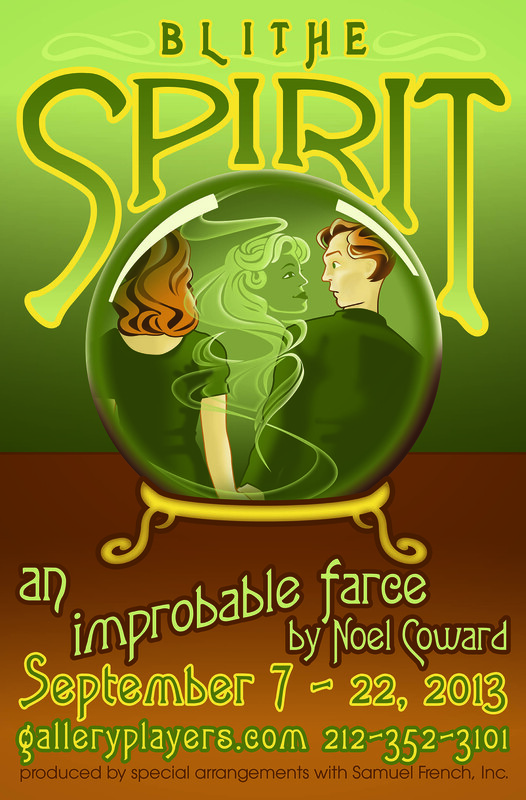 In 2005, it was adapted into a move, starring most of the original Broadway cast. For 16 years, Gallery has been dedicated to supporting emerging playwrights by developing and premiering their new plays. Each year, previously un-produced one-act – and in exceptional cases, full length – plays are selected, each playwright is paired with a professional director and actors, and the workshopping process begins. Driven by the playwright, the purpose of this collaboration is to hone the craft by polishing the play. The Festival runs four weeks, with a different program each week. Your subscription ensures entry to all four weeks. The Peanut Gallery is The Gallery Players’ week-long summer day-camp for children. Taught by professional theater artists, The Peanut Gallery is devoted to Musical Theater. In a fun format that combines games and theatre arts, children learn to sing and dance, collaborating to create and perform their own original show with songs from Broadway musicals. There are two sections, grades 1 to 3 and 4 to 6, and each section is offered twice during the month of July.